Recently I watched the entire 8 seasons of the British space comedy TV series, Red Dwarf. I didn’t watch the series much when it actually aired (on PBS here in the states), but I did catch a few episodes and thought them to be funny…very funny actually, with that great sarcasm and dry wit that the Brits do best. After watching all 8 seasons, I kept asking, “Is that all?” It couldn’t be there was too much more fun to be had. The actors were brilliant in their roles as a diverse set of characters pretty much marooned in space, at least until season 7, then things got weird (weirder?). Anyway as I found out that wasn’t all. There are books out there, my fave, cool, let me at ’em. I found that the first book had been broadcast on BBC Radio with the original cast and that’s the one I had to get. After all Douglas Adams made some great strides in the retelling of his “Hitchhiker’s Guide to the Galaxy” on BBC Radio, so this had to be great. Yes it was and more so. Here’s the premise of the series “Red Dwarf;” Dave Lister is one of the lowliest crew members on the interstellar mining ship Red Dwarf. He’s the guy that cleans the gunk out of the chicken soup vending machines. Arnold Rimmer is is boss of sorts. Dave is a laid back curry eating, beer drinking, cigarette smoking slob who just wants to go back to Earth. Arnold Rimmer is the overachiever that never can pass his officer’s exam. They are bunkmates on the Red Dwarf. On the last day of their lives, okay last day of Rimmer’s life, Dave is placed in time stasis as punishment for bringing an unquarantined animal (a cat by the name of Frankenstein) on board. Time stasis is a pretty cool punishment, if you ask me. The punished is locked in and for the time of sentence (3 years in Lister’s case) time goes by for everyone else and not you, okay you lose 3 years of pay in this case, but to the punished it only takes a moment. Alright, so Lister is locked into stasis. The Red Dwarf then has a core meltdown creating hydrogen bomb effect on board, thus all lifeforms destroyed but electronics and the ship are fine. So Lister is release out of stasis 3 million years later after all harm of radiation has passed and he finds himself not only alone on the ship but alone in the universe, yes the human race is extinct. So the ships computer, Hollie, revives Lister’s bunkmate, Rimmer, as a hologram. The technology is so energy consumptive that the ship’s resource can only support one hologram. The problem is what Hollie thinks may save Lister’s sanity, actually may cause him to go insane, picture “The Odd Couple” in space and you have the comedy makings of this fiasco. It is soon discovered that during the 3 million years that infamous cat of Lister’s was safe behind cargo bay doors and reproduced over the timespan and eventually the cats evolved over 3 million years into Felis Sapiens. Humanoids but still cats at heart, any cat lover would love this character. Later in this book after discovering a crash landed Earth space craft the crew is rounded out with Kryten, a mechanoid, a robot designed to serve. This audiobook is basically a retelling of the first season of the series and a portion of season two. The additional material is what makes this a big bonus. Not only do you get the retelling but also some back story, like how Lister got to be on the Red Dwarf, more information on the evolution of Cat, and some extra fun information. 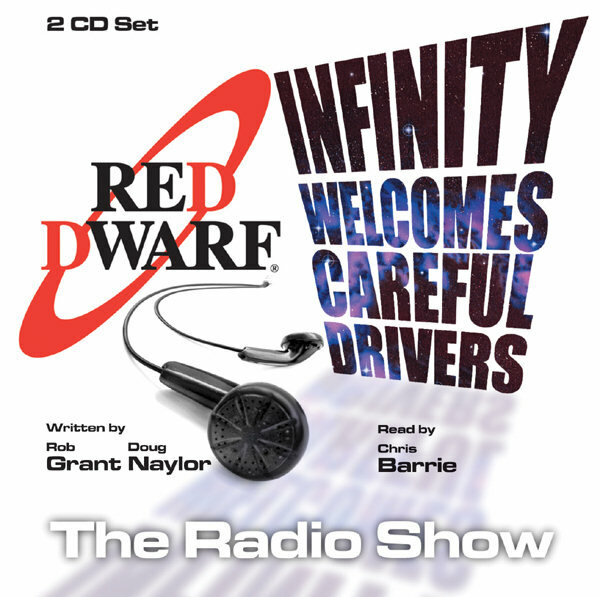 If you are a fan of Red Dwarf, you’ll love this audio book, If you have never watched a single episode, check out this audio book and then get ready for the urge to watch the series.